With winter now officially here with the temperature drop, along with clipping we have to decide about what we are going to do rug wise. Or more specifically, do you layer your rugs or have one bigger rug on? If you think it’s too cold for your 100g rug but too warm for your 200g rug, putting a fleece on underneath the 100g can be an easy solution without having to buy more in-between weight rugs. Similarly, you are probably more likely to become lazy and not check your horse properly every day because the amount of time it takes to take rugs off and put back on. Quicker to remove and put back on. So you spend less time messing about and can spend more time riding, grooming and actually doing things with your horse! You get to buy more rugs of different weights, and spare turn out rugs for each weight! 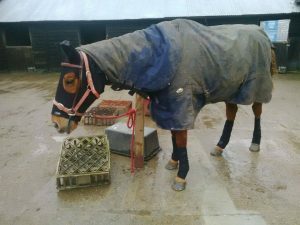 Your stable rugs won’t get soggy and muddy from your horse wearing them outside under turnout rugs. Realistically you do need a spare of each weight for turning out in case one gets soaked through and realistically won’t dry over-night. Because you will likely have a wider range of rugs which won’t all be on the horse at the same time, you will probably need a bit more storage space. If your different rug weights go up in 100g, you can sometimes struggle with which rug to put on, layering can help alleviate this dilemma. Personally, I prefer to only have the one rug on Scottie and looking back I am not sure he has ever had 2 rugs on since I have had him. There are a few reasons for this, the first being that he is a good doer and if I can’t decide which rug to put on him, I go with the lighter weight one as it is much better for him to be a bit cold than too hot. 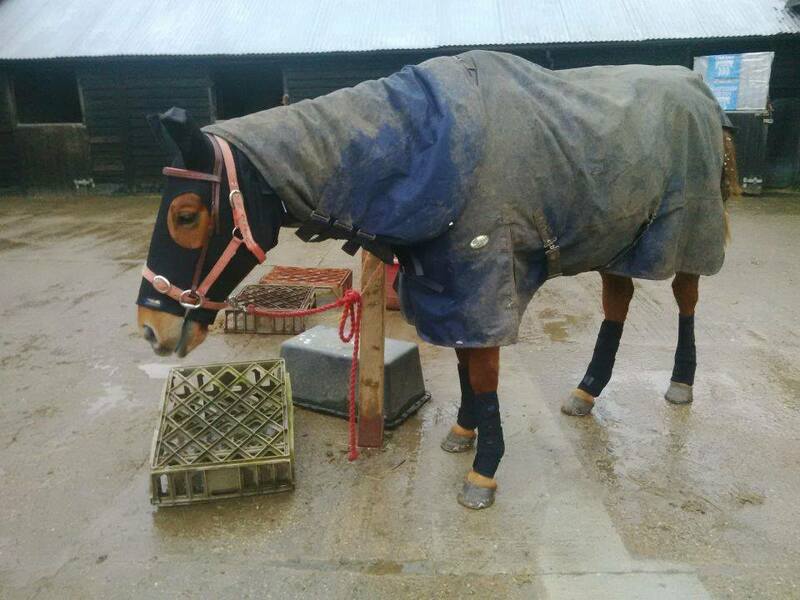 Secondly, I am lazy and the thought of having to take 3 rugs off every time I want to ride and then put them all back on again makes me just not want to ride at all! And finally, I love buying rugs! I like to have different weight stable rugs for as the weather changes as well as different weight turnout rugs with spares. What do you do with your horse and why?